That’s not an ideal situation, but it’s tempting to let your accounts run on autopilot when the life of a social media manager involves so much more than managing social media (amiright?). No matter how seasoned you are, sometimes it’s important to revisit your notes from Social Media 101 and remind yourself that first and foremost, it’s an engagement tool. And that means – you guessed it – making time for two-way communication. The benefits are pretty obvious. It’s an opportunity to show off your brilliant personality, and make meaningful contact with existing and potential customers as well as other brands. 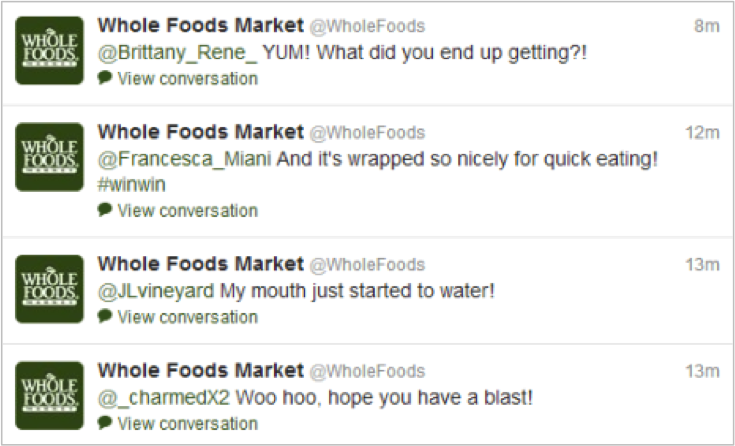 Whole Foods knows how to make a tweeter feel special. 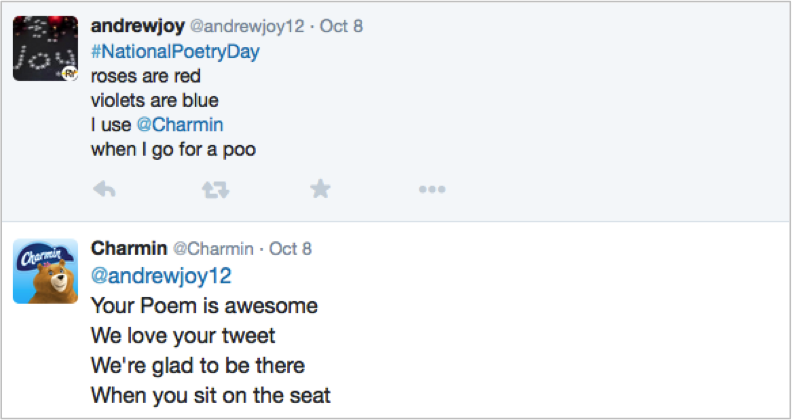 It’s obvious that Charmin gives a s#!t. 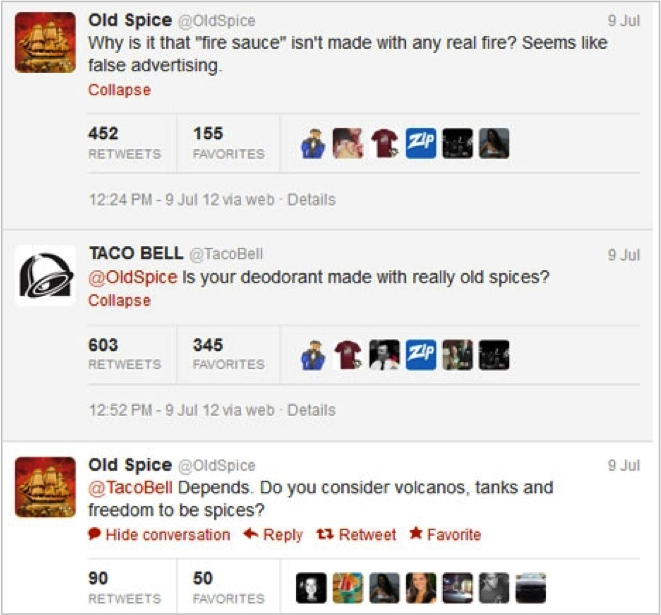 This interaction between Taco Bell and Old Spice is so awesome it makes me want to eat Taco Bell even while sober. This (below) totally happened. And Arby’s is now officially my spirit animal. Sure, your brand may not be as big as these guys, but it only takes a little time and creativity to make your followers smile. Besides, making room in your schedule to focus on the best part of your job is good for your overall sanity. So consider this your pep talk, social media managers. 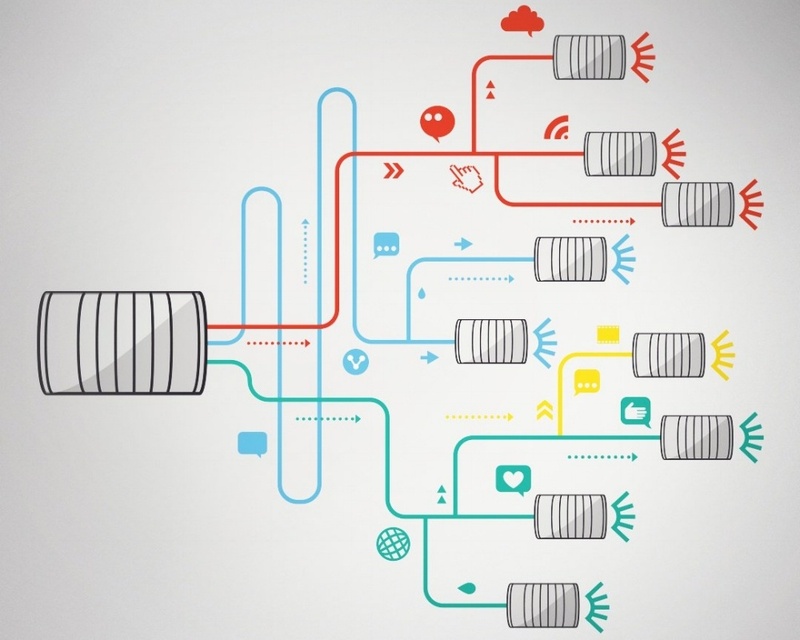 Think outside the content calendar and go join the conversation.